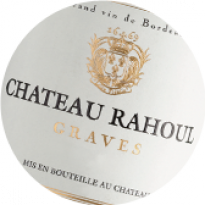 With their magnificent balance of aromatic complexity, freshness and generosity on the palate, the white Graves of Chateau Rahoul will elegantly withstand several years ageing in bottle. 8 - 9 months in barrel (20% new). Ageing on the fine lees with regular stirring. The extremely mild winter favoured early budburst and very rapid growth in the vine, followed by good and even bunch set. Frost at the end of April spared the estate’s white grape varieties, which continued to develop well approximately 3 weeks ahead of schedule. Flowering was quick and even in the dry, sunny May weather. Summer, particularly August, will be remembered for hot days (but not too hot) and cool, damp nights, with the contrast promoting freshness and balance in the bunches during very early ripening. Determining optimum harvesting dates for the Semillon(dominant at Rahoul) and Sauvignon Blanc is crucial in this early vintage. We harvested only in the morning, from August 28 to September 6. 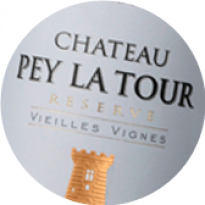 The wines are fresh and aromatic with apricot and exotic fruits hints. Sauvignon blanc character takes a leading role this vintage, with the bouquet offering citrus fruit character enriched by aromas of grapefruit, white-fleshed fruits and a delicate floral note of acacia. Stunning freshness and balance on the palate. 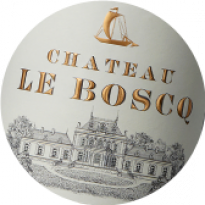 Clean on the attack and rapidly gaining in generosity, echoing the prominent aromas on the bouquet, while the structure gains lovely, rich, fleshy character. 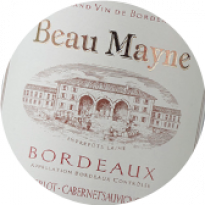 Freshness and well-balanced aromas pre-empt the long, lingering finish. Superbly elegant Rahoul. The first six months of the 2016 grape season turned out to be particularly rainy and warm, replenishing water reserves in the soils which would serve the vines well in forthcoming months. Which was just as well as sunshine set in for the long haul from mid-June, bringing very dry weather until the end of the harvest. The combined effect of available water supplies and favourable temperatures – not too excessive during the day and very cool at night – played an important role in developing the fruit and their aromas during ripening. A peak in heatwave conditions was followed towards the end of August and beginning of September by cool nights which helped preserve the aromas in the white grapes. The Sauvignon blanc and Semillon were picked in the cool of the morning to retain the grapes’ natural acidities. 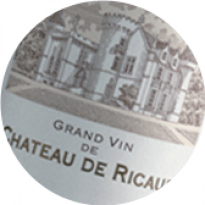 With prominent notes of fruits and white flowers, accompanied by a delicate hint of smoke, the grapes express all the typicity of the terroir here at Château Rahoul. Renowned for Semillon cultivated on gravel, aromas of white peach and pear and a hint of smoke define this Rahoul 2016. Cultivated on clay over a limestone subsoil in certain parcels on the estate, appealing Sauvignon blanc lends lingering aromas offering mineral character, freshness and length. 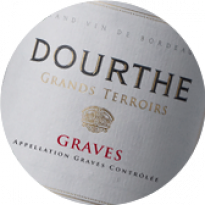 This is a successful blend, largely due to rigorously monitored harvesting dates, which lend round, fresh character and length to this superb white wine terroir. This is very exotic and rich with lots of sliced-mango, apple, peach, and banana character. Full-bodied, layered and delicious. One of the best in years. A blend of 78 per cent semillon and 22 per cent sauvignon blanc. The 2016 Rahoul Blanc comes from limestone-rich soils. 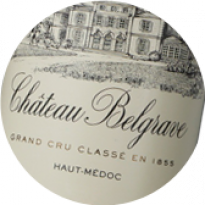 It presents attractive honeysuckle and white flower aromas on the nose, which is quite discreet but focused and delineated. The palate is well balanced with crisp acidity on the entry, offering green apples and Williams pear. 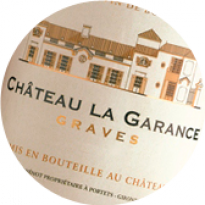 A touch of brioche toward the finish lends some sweetness, but overall this Graves Blanc is built on tension and linearity. Frais et fruité (ananas, pêche), aux arômes printaniers, ce vin bien typé graves dévoile un palais ample, rond et élégant, souligné par une pointe de vivacité bien dosée qui apporte une belle longueur. A blend of 78% Sémillon and 22% Sauvignon Blanc all barrel fermented in oak, the 2016 Blanc has lovely expressive white peaches, lemon curd and ripe Bosc pear notes with touches of paraffin wax and baker's yeast. 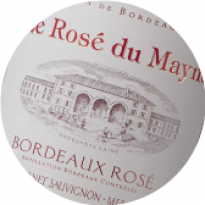 The medium-bodied palate gives a great intensity of stone fruit flavors, finishing on a yeasty/toasty note. Château Rahoul :Des sémillons (80%) qui évoquent la fraîcheur d'un sauvignon. Le vin est vif, avec ce qu'il faut de nervosité. Helles Gelbgrün, Silberreflexe, zart gewürzig unterlegte weiBe Apfelfrucht, ein Hauch von Mango, Limettenzesten. Mittlerer Körper, frisch stukturiert, zitroniger Touch, zarter Blütenhonig, bietet unkompliziertes Trinkvergnügen. At Château Rahoul, the first buds appeared around 10 April, which is fairly normal for this sandy, gravel soil. The first few hot and sunny weeks of spring stimulated the growth of vegetation and a very even flowering took place in these ideal conditions. Such good weather throughout the season meant that the vines were in excellent health. The rate at which the vines were growing began to slow a little in July. The white varieties on the cooler clay soils benefitted greatly from moderate temperatures throughout August. We started the vintage by bringing in a parcel of early-ripening Sauvignon Blanc 27 August, then picked perfectly ripe fruit over several mornings up until 15 September. Bright in appearance and pale yellow in colour. Lovely Semillon expression on the nose, revealing aromas of white peach and pineapple. 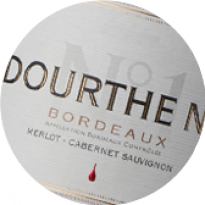 Complexity and elegance define the generous palate, which flows through to a fresh, well-balanced finish. Coup de Coeur. Ce blanc 2015 à dominante de sémillon ne laisse pas indifférent. Il possède la rondeur du cépage et une gamme aromatique florale. On s'en régale déjà aujourd' hui. This shows so much sherbet and lemon-rind character. Full-bodied, energetic and tangy. A lively and layered white that shows lots of semillion character. 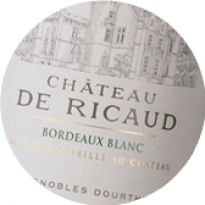 Another terrific white from the vintage is the 2015 Château Rahoul Blanc. This medium-bodied, clean, crisp effort offers classic notes of caramelized citrus, crushed rocks, white flowers and lots of brioche and toasted bread notes. It’s rich, impeccably balanced and elegant, and is high-class stuff. Un élevage en barrique a apporté de la tenue à ce vin ample et frais, sans trop peser sur son joli bouquet floral et fruité, légèrement minéral. Superbe nez raffiné, développant un fruit pur, une élégante minéralité, de jolies notes de citronelle et d'ananas, bouche charnue, aromatique, franche, avec des arômes persistants et une excellente vivacité en finale. Ténor de l'année. Superbe nez raffiné, développant un fruit pur, une élégante minéralité, de jolies notes de citronnelle et d’ananas, bouche charnue, grasse, aromatique, franche, avec des arômes persistants et une excellente vivacité en finale. Très réussi. 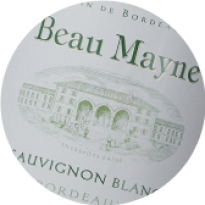 Coup de Coeur de l'année - Ce blanc 2015 à dominante de sémillon ne laisse pas indifférent. Il possède la rondeur du cépage et une gamme aromatique florale. On s'en régale déjà aujourd'hui. Unpredictable spring weather with intermittent hot and rainy periods, followed by an unseasonably cool summer, caused relentless work in the vineyard, and work on the canopy was meticulously fine-tuned to overcome complications as a result of changeable vintage conditions. By the end of August, conditions in the vineyard were good, with a certain delay in ripeness at this stage. With the good weather reluctant to set in, a positive outcome to the significantly slowed down veraison in August was looking doubtful. The Semillon, planted predominantly at Rahoul, flourished in the relatively moderate summer temperatures. The long awaited summer arrived late, on 27th August, with magnificent sunny weather setting in until the end of October. White peach and pear aromas on the bouquet, together with a hint of bergamot. The palate, enveloped in unctuous Semillon character is rich and full. 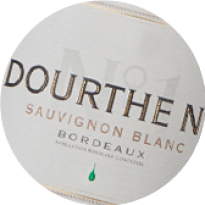 The wine reveals a hint of verbena on the finish, lifted by appealing Sauvingon blanc freshness. The ripe 65% of Sémillon is the secret behind this rich wine. While at the young stage it has a herbal character that is going to fill out impressively to give a creamy wine with a touch of vanilla and fine crisp, juicy acidity. Très belle réussite en blanc 2014! Pas moins de 78% de sémillon dans un assemblage salin, vif, mais avec un fruit expressif en bouche. Les sémillons opulents, mais sans lourdeur, et donnent d'excellents résultats après vinification et élevage en barriques dont 18% de fûts neufs. Von schlanker, fruchtiger, bekömmlicher Art, mit spürbarer Mineralität und Säure. Fairly lemony and waxy with decent grip and a faint exotic banana and peach tone, this is a very forward wine. Floral, sweet nose. Mineral and quite refined but with less searing acidity than most. Very good Rahoul Blanc this year with lifted passion fruit and citrus along with a creamy, generous mid-palate. The acidity is fresh and lively - this wine is ready to enjoy young. 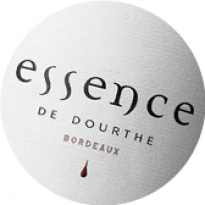 Intense acidity and herbaceous notes are the hallmarks of this tight, fruited wine. The Sauvignon Blanc – crisp and fresh – shines right through. All that fresh squeezed grapefruit, honeysuckle and lemon peel give this wine a blast of fresh, refreshing, crispness and a touch of French vanilla. Forward in style, this will be best on young side. 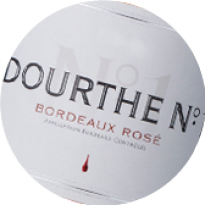 Si le domaine a souvent montré qu’il savait parfaitement vinifier les vins rouges, ce cru est surtout réputé pour ses graves blancs. Une renommée qui ne pâlira pas avec ce superbe 2013. Pêche, tilleul et buis, autant d’arômes attrayants qui se partagent le nez. Franc à l’attaque, vif, complexe, élégant et minéral, le palais fait l’unanimité par sa finale à la fois ample, acidulée et mentholée. L’étoffe et le volume d’un sémillon (80%) et l’entrain d’un sauvignon raffiné. 2013 est à la fois nerveux et généreux avec une sensibilité d'épices en finale. Il marque vraiment un tournant dans le style des blancs de la propriété. On aime la complexité et la belle précision du nez, qui développe des arômes de fruits blancs, tilleul, menthol, réglisse ainsi qu'une grande minéralité, la bouche charnue, aromatique, vigoureuse, tendue par une excellente vivacité. Racé et équilibré. The finest white Rahoul I have tasted in many years, the 2013 exhibits a slight greenish hue to the color along with lots of citrus notes, medium body, surprising concentration and depth, and beautiful balance and purity. Drink it over the next decade or more. 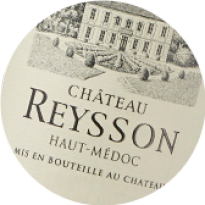 Full,vinous,balanced; aromas still discrete; big potential, first-rate vinification. Réussite: 80% de sémillon avec la vivacité et un fruit expressif à la finale préservant l'éclat. Citronné, acidulé mais pas seulement, il offre aussi de belles saveurs de fleurs, de pêche de vigne, d'anis et de fine badiane. La bouche est longue, rafraîchissante et très élancée. Good full straw-yellow. 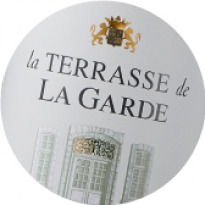 Herbs and underbrush complicate grapefruit and green fig aromas on the nose. 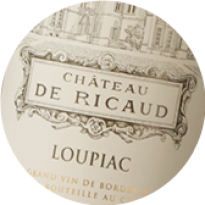 Nicely layered, mineral-driven flavors of yellow melon, green fig and herbs are complicated by an earthy note. Finishes quite juicy, with mounting acidity and a note of arugula. (...) this property's white wine is hitting the heights it last achieved in the 1990s. This 80/20 Semillon/Sauvignon blend is herbal and sappy, with notes of beeswax and stone fruit and a touch of vanilla oak. More grip and verve and less obvious oak. Nicely balanced. (87/100pts) Quite ripe lemony fruit, good depth and precision and class for white Graves. Clean and mineral with dried-apple and lemon character. Medium body, bright acidity and a crisp finish. The vineyard at Rahoul, which is relatively old and deeply rooted, escaped significant precipitation in spring. 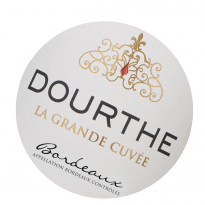 Excellent weather in August and September allowed the grapes to reach good ripeness levels, and we approached Dourthe’s 5th harvest on the estate in a total state of calm. 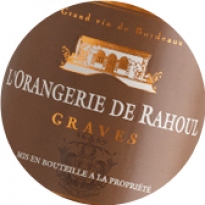 The white grapes were harvested in several passages through the vines from September 7th onwards, which is the usual date for Rahoul. The wines, vinified and aged in barrel, are showing appealing aromatic complexity, underpinned by generous fleshy character on the palate. This is a vintage on a par with the great white wines from this property. Attractive pale yellow in appearance, the wine reveals a lovely, expressive bouquet of complex floral and white fruit aromas – pear and hawthorn – with a hint of citrus. On the palate, the fleshy, generous Semillon shines through, underpinned by the freshness of the Sauvignon, which brings balances to the wine. 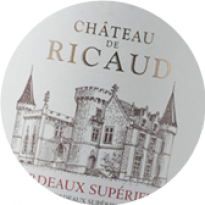 Meticulous ageing has given the wine its subtle oak character, which in no way detracts from the overall aromatic freshness, nor the long, fresh finish with minty notes. 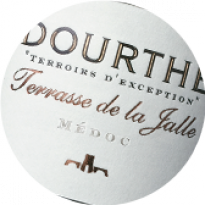 The wine reflects the Rahoul terroir well. A strong effort from Rahoul, this wine has medium to full body and loads of caramelized citrus, orange oil and honeysuckle. Drink it over the next decade. 80% Sémillon. Very nice combination of richness and struck-match suggestion. Very cool and fresh – and more youthful than most. The palate suggests that the grapes were picked relatively early for this is still tense and crisp. In fact there is more than a hint of the Hunter here! Super nez exubérant et pur, très fruits blancs (poire williams), résineux, pistache, fumée, bouche charnue, ample, franche, minérale, avec une vivacité superbe et une très longue finale. Savory and thyme notes mingle with a hint of lemon zest, while a backdrop of bitter grapefruit and jicama accents form the finish. A plump shortbread flavor echoes. Barrel sample. This is an herbaceous, cool wine that shows fresh pear and lime flavor. It does have a sense of structure that gives density and texture on the finish. Hint of exotic fruits on the nose of this. Then some appetising minerality on the palate. Very slightly skinny finish but this criticism is to split hairs. Exciting and correct. Fan of green fruit flavours on the finish. Après un premier nez boisé (en cours d'élevage), le fruit apparait relevé par du citron, de l'anis et prolongé par de la sauge et de la rose. Lovely complex solids aromatic quality with Burgundian-style batonnage bringing a Swan Vesta struck-match and wholewheat leesy character to the tropical zest fresh grapefruit aromas, while the palate is refreshingly juicy with a complex citrus-zesty character behind concentrated and characterful citrusy sauvignon-based fruit. Caramelized citrus and butterscotch notes are followed by an elegant, crisp, fresh, medium-bodied dry white. 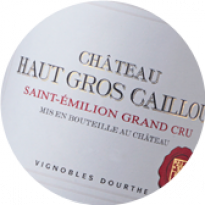 The Château Rahoul vineyards are situated on a sandy-gravel and clay-gravel terroir, typical of the Graves appellation. The vines are managed with meticulous care, where techniques were adapted to the unusual weather conditions of the vintage, essentially to compensate for the persistent drought in the run up to the summer and excess humidity prior to the harvest. This extreme vigilance has been rewarded with grapes ripening normally. The white grapes were picked over the course of several passages through the vines from 30th August to 7th September. 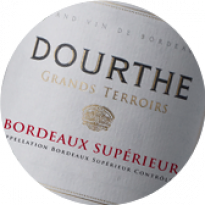 The grapes (predominantly Semillon 70%) are vinified and aged on the lees in one year old oak barrels, so as not to affect the magnificent aromatic complexity and fruit freshness backed by appealing richness on the palate. Interesting aromatic complexity, citrus and lime blossom on the nose. 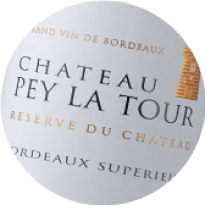 Ample palate, well balanced with nice freshness and discrete and melded oak notes. A very successful wine. "Smoky and a little reductive now. Strong vegetal notes and although the flavours on the palate are also in the green fruit spectrum, it is zesty and refreshing and persistent. Well done in a grassy, fresh style." Un vin pour le plaisir de la table sur une viande blanche pour sa fraîcheur et ses notes de sauge. Le citronné se chamaille avec la goyave. 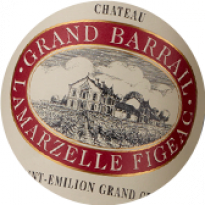 Despite some reductive character on the nose, the fruit on the palate shows good weight and richness. It should become a rich, citrus-flavored wine. Crisp and Pale, fine vivacious citrusy fruit, lifted elegance and good future. Greeny lemon colour. Lots of citrus and green-apple freshness on the nose. Very Sauvignon on the palate, softened with some creamy mealy oak. But eye-watering acidity. Lots of lemon zest and grapefruit pulp notes lead to a fresh, floral and very lively finish. Brisk and nervy. Joli jus avec un côté cristallin, une texture ample, évasée, de beaux arômes de pêche et une finale dotée d'une bonne persistance. Helles Gelbgrün. Zart nach Mandarinenzesten, ein Hauch von Stachelbeeren, zarte Krauterwurze. Stofflig, mineralisch, Wei&szlig,e Tropenfrucht, lebendiger Säurebogen, zitroniger, frischer Nachhall. 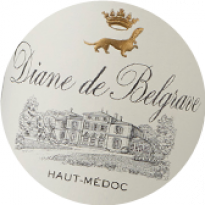 This 2010 vintage benefited from ideal weather conditions concerning the whites. Ths summer was sunny and dry, without being a heatwave. The pronounced day and night temperature variations allowed to preserve natural acidity in the grapes. The Sauvignons are very aromatic, and the Semillons highly concentrated. A great vintage for fresh and complex white wines. 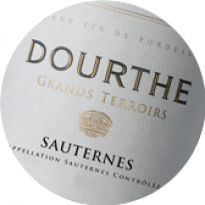 Pale yellow and bright in appearance, the wine is round and generous, revealing abundant freshness. 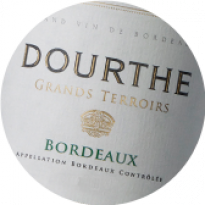 White fruit aromas of pear dominate on the nose, and a hint of citrus fruits infuses a lively touch. Toasty notes from the well-integrated oak add the finishing touch to this beautifully balanced palate. A complex, concentrated and rich wine. L'agrume ouvre la porte à des touches de miel, de cire d'abeille et à quelques notes de pâte de fruits. La petite note exotique rejoint une bouche fraîche finement acidulée aux nuances d'amande douce et de papaye. 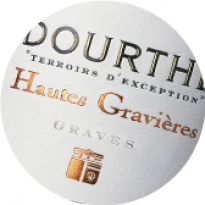 Lots of grapefruit, some subtle oak and a honeyed, medium-bodied mouthfeel are pleasant in this straightforward, dry white Graves. 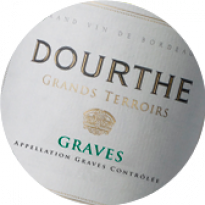 Lots of grapefruit, some subtle oak, and a honeyed, medium-bodied mouthfeel are pleasant in this straightforward, dry white Graves. 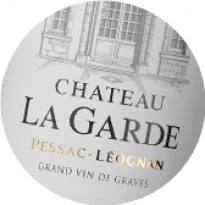 Offers a hint of brioche, with lemon curd, blanched almond, star fruit and creamed gooseberry notes. 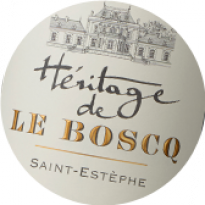 The lively finish imparts a saline freshness. Really creamy on the nose. 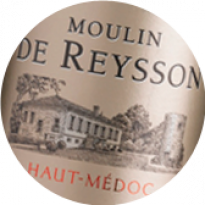 Savoury oak over ripe fruit with body and freshness. Rounded and full in the mouth.....it makes an attractive whole. Jolis arômes de fruits blancs, acacia et verveine, bouche charnue, fruitée, avec une belle longueur et une finale délicieusement acidulée. 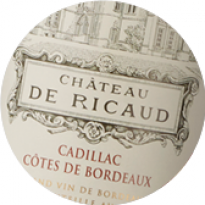 The wine has rich citrus and pear flavors, with weight, an oily texture and balanced wood spice to finish. Well structured. 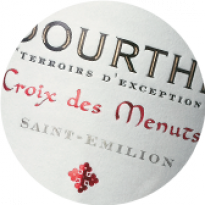 Le vin aux arômes riches d'agrumes et de poire a du corps, une texture onctueuse et un harmonieux boisé épicé en finale. Jolie structure. 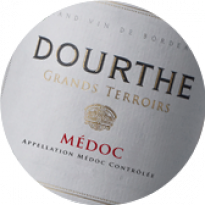 The Rahoul blanc has a vigorous, citrus-driven nose, with crisp lime, citrus lemon and fresh dewy green apples on the nose. The palate is well balanced with apricot and Tropicana in the background, nicely defined with good weight towards the finish. This is a little gem. 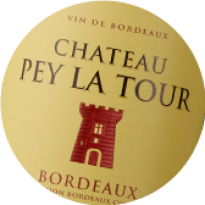 Beaucoup de caractère pour ce vin extrêmement fruité, épicé et fumé, offrant une bouche flatteuse et ample, avec un fruit superbe, de la mineralité et de la fraicheur. Un beau blanc, puissant et équilibré. Pêche blanche, note de grillé, poire, bouche bien fruitée en attaque, vin frais, délicat, rafraîchissant, bonne acidité qui prolonge la finale. Very pale greyish green. Exotic pear-juice aromas. Is there some Sauvignon Gris in here? It is certainly headily perfumed. Then finishes a little lighter than some though it’s a nice variation on the usual theme. 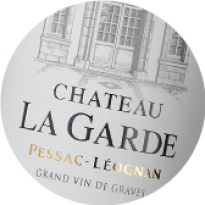 Good fruit, with slightly unripe pineapple and lemon aromas and flavors. Medium body, with bright acidity. Fine floral expression, good depth and impressive length. Drink 2013-18.